I Never Thought I’d Enjoy Pretending To Be A Cheerleader This Much! It’s no secret that I love Veronica Mars. It retains a place of honour on my list of favourite tv shows, despite its cancellation over a decade ago. It may be less known that I actually love the entire teen-girl-sleuth genre, as pioneered by the series of Nancy Drew Mysteries. There’s just something intrinsically interesting to me about sassy girls that solve mysteries, I suppose. Where am I going with this? Well, a while ago I picked up the .pdf of Bubblegumshoe while it was on sale and, having two games on the go at the time, promptly let it sink to the back of my mind unread. Recently, needing to come up with something new for Kelly and I to play, and really wanting to take a break from the (to me) slog of Pathfinder RPG, I downloaded the book and gave it a read. Bubblegumshoe is Evil Hat’s (publishers of FATE Core, among other games) take on what they call the high school noir genre using Pelgrane Press’ excellent GUMSHOE system. If you don’t know GUMSHOE, the short of it is that it is an investigative system wherein the investigators never have to roll to discover a clue. If they are in a scene that contains a clue and they have a ranking of 1 or more in an investigative ability (split into Academic and Interpersonal abilities in Bubblegumshoe specifically) that pertains to that clue, they get the clue. Every time. No need to roll. 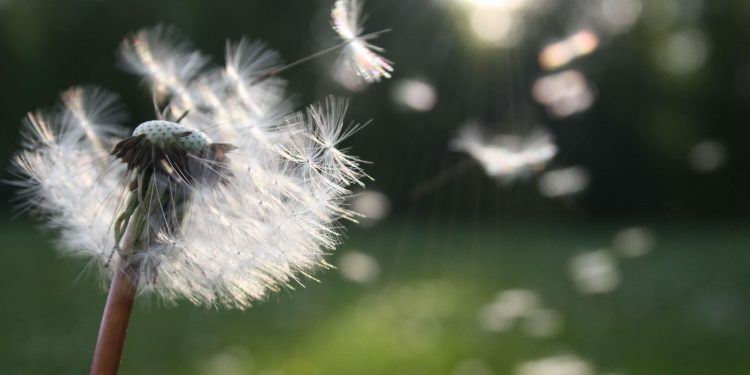 An investigator can then spend points from that investigative ability, if they have any, to add some context to the clue or glean some additional useful-but not-vital knowledge regarding it. There’s more to the system than that, but that’s it in a nutshell. Bubblegumshoe’s big adjustments to the system are the replacement of Health and Stability with Cool; moving to a short damage track to model the health of the teen sleuths; the addition of Relationships as an ability category; and the addition of the Throwdown as the primary dispute resolution system. It’s Alright, Mom, We’re Just Gonna Netflix And Chill. Relationships in Bubblegumshoe aren’t just a list of NPCs that an investigator knows. They are NPCs that a character can leverage to their advantage in some fashion and are allotted points just like an ability. Unlike other Investigative abilities, Relationships are further striated as Loves, Likes, and Hates with more benefit being gained from Loves than Likes, and Hates give the GM permission (and mechanical power) to mess with the investigators’ lives. Relationships, when called upon, can be used in a number of ways, from allowing an investigator to use an ability they don’t have, to improving an investigator’s chance to succeed on a relevant General ability test, to allowing an investigator to deflect some Cool damage suffered in a Throwdown by throwing their Relationship under the bus. The use of Relationships as a form of mechanical currency in Bubblegumshoe is flavourful and flexible, and frankly one of the best mechanical uses of the PC-NPC dynamic I’ve ever seen in an RPG. Since the genre ideally doesn’t deal with a ton of (PC) death and dismemberment, character health is changed from its usual pool of points to a simple four point damage track. Investigators move from fine to scuffed to injured to dead as they suffer physical harm, though the damage track hasn’t been used in our game at all as yet. It is interesting to note that Fighting is listed as a General ability in the book (with plenty of admonishments about the consequences of violence both in school and in society) but is not listed on the character sheet at all. In Bubblegumshoe, Cool is the resource that replaces both the Health and Stability used in most GUMSHOE games. A person’s Cool measures both their ability to keep a cool head in tense situations, as well as their general… um… Fonzieness… A person can lose or spend cool in a number of ways, from being caught in the act of doing something that maybe they shouldn’t, to getting into a location that would generally be off limits, to getting into a full on Throwdown with one of their Hates. Just beware though, your reputation will take some time to recover from the screaming, snot-bubbling melt down you have when you reach -10 Cool. If I Want You To Speak, I’ll Wave A Snausage Over Your Nose! The Throwdown is the classic social combat that we’ve seen in teen media from She’s All That, to Gossip Girl, to the aforementioned Veronica Mars. The Throwdown rules can be used to adjudicate events ranging from a showdown between the sleuths and that meathead from the bodybuilding club over his bullying of the Mathletes, to a rap battle, to a food fight. Indeed, it took little tweaking to use them to model the cheerleading tryouts in our own game. 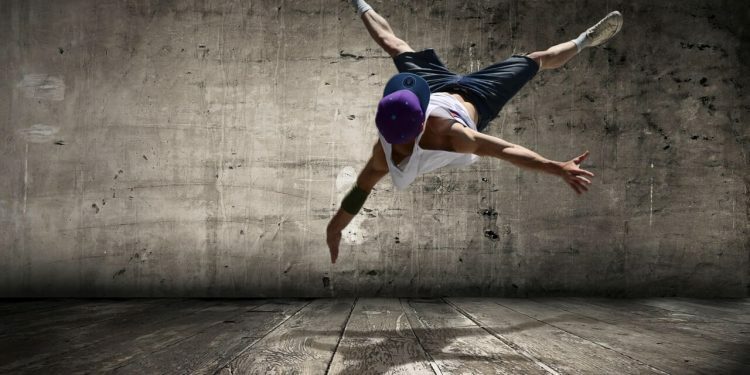 There is a Throwdown General Skill, but the really interesting thing about throwing down is the way investigators can leverage their Relationships to help them out, though doing this too often could alter or even destroy a Relationship… this is high school after all. In addition to the rules, a decently detailed town, and a number of mystery seeds (including one fully fleshed case), the book is rounded out with a number of Drifts… or as I would call them, alternate campaign settings. There are quite a few of these, ranging from a prep-school setting that emphasizes player vs player conflict, to a supers-in-training setting, to a middle school setting more in the vein of Encyclopedia Brown, or The Boxcar Children than the default PG-13 setting. I can’t comment on the physical book, but the .pdf is well bookmarked and generally easy to use, though the organization wasn’t perfect in my opinion. There have been a few instances that I’ve had trouble finding a piece of information. The cover is colour and is a bit too cheery for a game that dubs itself high school noir. The interior art is black and white and is all done by Rich Longmore, I believe; it ranges from alright to good, and along with the text, it portrays people of a good range of ethnicities and social standings. The single column text is easy to read on a phone or tablet. Now you’re wondering if the book is good… and the answer is a resounding YES! This game is excellent. It’s obvious that Emily Care Boss, Kenneth Hite, and Lisa Steele did a ton of research, and it paid off. It’s been a long time since a game had me playing from 6:30 pm to 2am, but Bubblegumshoe had me in just that position on night one, and I’ve had to fight the urge to stay up too late each game night since. Everything about Bubblegumshoe works to achieve that fraught feeling you get in a hostile and alienating environment…. The modern North American high school. 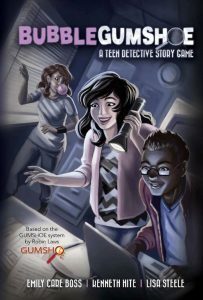 Overall Bubblegumshoe gets an A (5 out of 5)! Go grab your copy on DriveThruRPG and tell us what you think of playing a teenager! I turned forty this August. Despite it being a landmark of a sort, at my request it was a quiet day spent with immediate family and a couple of close friends and their kids. It was near perfect. I’m not a big fan of megadungeons. A series of keyed encounters heavy on combat but light on role play just doesn’t do a lot for me. Eyes of the Stone Thief is a different beast though. The Stone Thief is a megadungeon, certainly. But it is also its own character, and if the GM does their job even reasonably well, their players will hate this vindictive and evil place. The fact that Gareth Ryder-Hanrahan is one of the best adventure scribes in the business helps as well; if it will help make the GM’s task easier, he has likely included it. From adventure hooks, to icon relationships, to campaign structure, to dungeon configuration changes, to a chart that makes it easy to track when the titular living dungeon will/should dive back into the bowels of the earth, the tools are close to hand. Chance of Playing: Good. 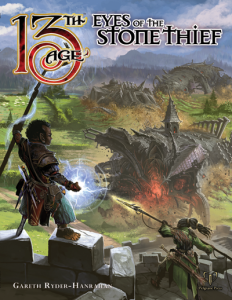 Eyes of the Stone Thief will be conquered by my players one day. Or it will consume them. It is just a matter of time. Zeitgeist is likely the most ambitious campaign produced for the Pathfinder Roleplaying Game to date. In its twenty levels, the player characters will advance from being lowly constables attempting to prevent dockside riots to key players in their world, defeating nigh-godlike fey titans and, ultimately setting the course for the next age of the world. The world deserves some mention as well; despite the relative brevity of the Campaign Guide, Zeitgeist’s world, calling it a fey-steampunk marvel doesn’t do it justice, is compellingly well drawn. Zeitgeist is a campaign full of heavy themes, that will demand the best of the GM and players, but if it plays half as well as it reads, it will provide one seriously epic campaign. Chance of Playing: Excellent. I will likely run this as a solo game; the intrigue and emphasis on role play over dungeon crawl will appeal to Kelly. When it comes to the works of J.R.R. Tolkien (other than The Hobbit), I prefer the films to the books. Yes, I am a godless philistine, I’ve come to terms with it. My current favourite fantasy RPG, The One Ring, however, hews much more closely to the literary source material than to the shield riding shenanigans seen on the big screen. While it may seem to be a bit of a cheat to list two adventures here, there is a good reason: The Darkening of Mirkwood is a sprawling campaign frame full of lightly sketched adventures that cover thirty years (!) from 2947 through 2977. 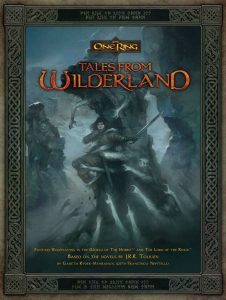 Tales from Wilderland, on the other hand, offers a handful of discrete, excellently designed scenarios that a Loremaster (GM) can slot into the above campaign. There’s a lot to like in these books, but I think my favourite aspect is the expectation that the PCs be heroic. After playing RPGs with largely the same group of people for twenty years, I’ve seen every flavour of douchebag mercenary behavior (“I’m just playing in character, Dweazel the Hamstringer would totally burn down the orphanage just so the populace could see him rescue the orphans from the blaze. How else is he supposed to get a special ladyfriend…) it would be nice to have them actually be the good guys, just this once. Chance of Play: Moderate. Though ToR is not a difficult system to learn and use, it isn’t D&D or a derivative thereof; getting my players to buy in will likely be difficult. 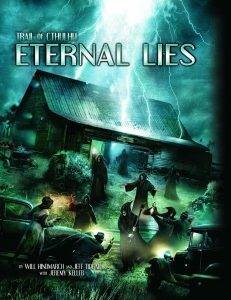 Eternal Lies is a monster that spans generations as well as continents. While I don’t want to spoil too much of the story, it is a horror-mystery after all, it is safe to say that the sins of the fathers (and mothers) come home to roost, forcing subsequent generations to fix their forebears grave mistakes… or die trying. The nice thing about this campaign is not just that it’s a compelling story; this book is laid out in a way that makes it easy to use. Information is clearly called out. Keeper (GM) material is clearly delineated from player information. Designer notes and anecdotes are copious. 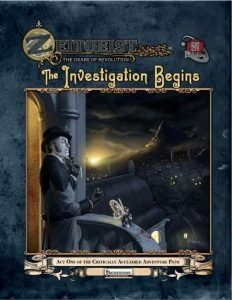 The campaign is also open, so while there is definitely an overarching plot, the investigators are free to go where the clues take them without worrying that they’ll miss out on something important. Pelgrane Press hits my bucket list for a third time, as does designer Gareth Ryder-Hanrahan. There’s a reason for these trends: Pelgrane Press makes fantastic system-seller material for their games, and Gareth Ryder-Hanrahan is a top-tier RPG designer. 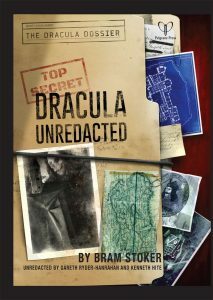 The Dracula Dossier is two books, The Director’s Handbook, which, as the name implies, contains all of the material an NBA director (GM) needs to run the campaign, and Dracula Unredacted, which is the “real” story as transcribed by Bram Stoker. The two books are extensively cross referenced and both serve to build not just an epic GUMSHOE campaign; they are simply the best RPG adventure I have ever read. I’ve read a lot of adventures over the last thirty-two years, and none of them matches, let alone exceeds this. Honestly, nothing else even comes within spitting distance. The best part isn’t the extensive research the authors obviously did. It isn’t the almost excessive work done to make such a sprawling sandbox easily playable for the director. It isn’t even that whoever gets to play in this campaign is in for something truly epic. The best part is that I could hand (or more likely send a PDF) a copy of Dracula Unredacted to my players and say, “Read this in whole or in part… and tell me where you want to start.” This campaign can be completely driven by the investigators, and the material is presented in a way that the director won’t have any real trouble in adapting to their moves. I’m not sure how Pelgrane Press, or any other company for that matter, will be able to top this. Chance of Play: High. One way or another, I will run this campaign eventually. Which campaigns are on your bucket list? Let us know!